from Jamie St Clair. “We Will Abide” cd released Nov 15, 2013. 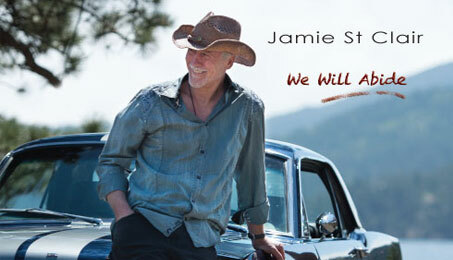 Jamie’s music has been called “Lyle Lovett meets the Allman Brothers.” Currently 2015-2016 Jamie is touring in Europe with this music, and gathering the new songs for the next album, scheduled for end of 2016. Jamie’s bio.